The summer blockbuster season's become a money-grubbing period of cynical rehashes. Thankfully, there are alternatives. 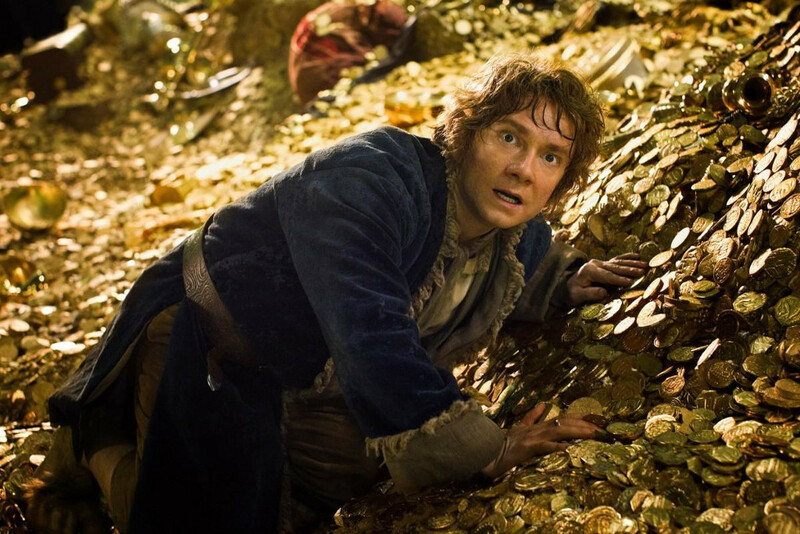 Did you hate Peter Jackson’s 2012 Tolkien reboot The Hobbit: An Unexpected Journey? Did you think it was far too long, padded with unnecessary nonsense, and a sad retread of former glories for the New Zealand director? If so, then hopefully you ignored the masses and said no to its sequel, The Hobbit: The Desolation of Smaug (2013). Did you not quite get what all the fuss was about with 2004’s Anchorman: The Legend Of Ron Burgundy and have no interest in knowing the context of a decade’s worth of quotes and bro humour? Then just say no to its nauseatingly mass-marketed sequel, Anchorman 2: The Legend Continues. Are you getting sick of identical Marvel universe-building properties? Then say no to Channel Seven’s Agents of S.H.I.E.L.D. and the upcoming drably-titled sequel, Captain America: The Winter Soldier (2014). Hollywood has audiences right where they want them. The star system is more or less out, with only a few actors able to bring in audiences on their name alone (Will Smith found out the hard way with After Earth that he may no longer be one of them, although Leonardo DiCaprio and Adam Sandler still seem to have the pulling power). These days, audience’s attentions are focused squarely on franchises. Franchises allow Hollywood to pump out anywhere from three to eight films per series, cranked out in rapid succession before audiences start getting bored. Franchises make audiences feel like they absolutely have to see the latest installment for the sake of completion, because you don’t want to be that person at work on Monday, or on Twitter, who hasn’t seen the latest blockbuster. With 3D fading, 4D quietly vanishing like a fart in the wind, and the much-ballyhooed 48fps going down like a ghastly, ugly lead balloon and feeling increasingly like little more than a blip on the technological radar, studios are getting increasingly desperate to pinch more pennies. When audiences are paying $19.50 for a 2D drama like American Hustle, you have to worry. Now it seems studios are taking a leaf out of Quentin Tarantino’s Kill Bill book and splitting their films in half. The upcoming The Hunger Games: Mockingjay — Part 1 (2014) and Part 2 (2015) is following Harry Potter And The Deathly Hallows: Part 1 (2010) and Part 2 (2011), and The Twilight Saga: Breaking Dawn Part 1 (2011) and Part 2 (2012) in this vicious cycle, and audiences are having to pay twice to see what was envisioned as one. 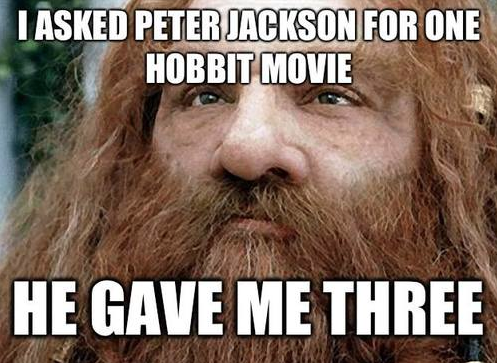 Peter Jackson’s Hobbit trilogy is surely the worst of them all. It’s based on a 310-page book that could have very easily made an enjoyable one-time-only return to the cinematic world of Middle Earth; a special event akin to a reunion except everyone has aged really, really well. Instead, money got the best of New Line Cinema and Warner Bros Pictures, who apparently asked themselves “Why make one billion dollars when we can make three?” It’s logical, I guess, but it’s a commercial concept that seems to run counterproductive to the production of worthwhile, meaningful art. Thankfully, the summer blockbuster season offers enough to bypass the likes of The Hobbit, Part Deux. Destin Cretton’s Short Term 12 was another Boxing Day release, albeit on a much smaller scale, but what it lacks in volume it makes up for with pure filmmaking bliss. The story of a foster care facility run by a damaged young woman (Brie Larson in an award-winning performance) may not sound like fun holiday viewing, but it’s a powerful and charming film about the good that people can do in this world. Elsewhere, there’s Jonathan Teplitzky’s Australian/UK co-production The Railway Man, starring Colin Firth and Nicole Kidman. Disney’s Frozen is gorgeous, has great songs, and is likely the closest we’ll ever get to Wicked: The Movie. And even though Stephen Frears’ Philomena is a soft-lob given its subject matter of Catholicism, adoption and frank homosexuality, it’s still an endearing effort with the ever-likeable Judi Dench in a soon-to-be Oscar-nominated role. So, please, just say no. It’s easy. Throw away the shackles of society and find an alternative to Hollywood’s penny-pinching tactics. I can’t imagine it isn’t a better use of your time and money.